There are over 2,000 nursing schools in the U.S.
That is a very large number, and it can be difficult to figure out which nursing school – and nursing degree program – might be right for you. And despite the large quantity of nursing students at numerous different schools, hospitals and private companies in the United States are still looking for more and more nurses within multiple specialties and degree levels. We continuously search the web to gather the most detailed review of all nursing schools in the U.S. As you browse our website you will find hundreds of hand-gathered results and hand-written reviews and summaries on different nursing schools in the U.S.
For your own review or to have us review a particular nursing school or program, please contact us via the contact us page on this website. When you are trying to figure out which nursing degree is best for you, it is important to know your current education level and what career goals you are looking to achieve. There are many offerings for continuing education for current nurses. We have highlighted all options below – simply click on a listing to view more about each program. If you are already a Registered Nurse (RN), and you are looking to gain knowledge and grown in terms of salary and responsibility, you should consider a bridge nursing program (RN to BSN or RN to MSN). Advanced MSN degrees (Master’s of Science in Nursing) and specialties are becoming more common in this day and age due to the customized care people are now looking for. This provides for excellent opportunities to become more specialized to help different individuals or families. Nurse Practitioners and Family Nurse Practitioners are among the most common advanced degrees for those with their BSN or MSN. Nurse Practitioners often have similar capabilities as Doctors, but with personalities and goals that cater more towards families. Likewise, Nurse Midwives are becoming more common to help empower women during their pregnancy for prenatal and postnatal care. 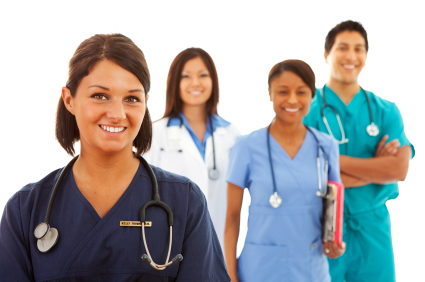 Below are several common specialties of advanced degrees in nursing. Not-yet-educated non-nurses: There are many people that are just coming out of high school or people that never had the opportunity to earn an education that look to get into nursing. For most people, it is an excellent decision. Healthcare employment is rising and is projected to be one of the largest fields of employment in the near future. Educated non-nurses: Likewise, there are a number of people that already have an education but want a career change into nursing – either an Associate’s, Bachelor’s, or Master’s degree – in a completely different field than nursing or healthcare for that matter. Luckily, there are quite a few program options for educated non-nurses! Direct Entry BSN or MSN programs are the typical route educated non-nurses decide to go, as these programs can quickly get you into nursing at a relatively high level for compensation and responsibility. There are over 2,000 nursing schools in the U.S. – with either online programs or campus locations in a traditional setting. We have attempted to scour the web and analyze each program in the U.S. Use the below dropdown to jump to your state. From there you can see which nursing schools are in your area and if they are currently accepting applicants. Hospitals and healthcare facilities are hurting for nurses. Many smaller medical facilities in poor urban and remote rural areas are seriously short staffed. Schools often don’t have enough nursing teachers, since many nurses choose to practice healthcare instead of teach. Nurses are needed all over the world, not just in the U.S., and many U.S.-educated nurses go overseas to work with the military or volunteer organizations. Nursing is a specialized part of the healthcare industry. Nurses such as licensed practical licensed nurses (LPNs), registered nurses (RNs) and advanced practice registered nurses (APRN); are usually perceived as being assistants for doctors. But the truth is that they actually work to create and implement patient care plans, educate patients, and act as liaisons between other healthcare professionals and patients. The emphasis in nursing is on caring for the whole patient, including their mental state and lifestyle factors, as well as their illness. If this kind of medicine appeals to you, becoming a nurse will lead to a satisfying, challenging career for you. The healthcare industry is experiencing a nursing shortage that is likely to continue and possibly grow as time goes on. Experts estimate that we will have a demand for an additional 800,000 to 1 million nurses by the year 2020, all over the world. As a response to these scary numbers, nursing schools, medical centers, and state Boards of Nursing have created several “carrots on a stick” to bring in new nursing students. In addition to entering the field because of a fascination with medicine and a desire to take part in patient care, new nursing students are also getting into it for the state-sponsored tuition reimbursement and financial aid programs, generous sign-on bonuses from hospitals, and accelerated degree programs from schools. It isn’t always easy to get in to a good nursing program, but once they do, students can receive a long list of financial incentives that will help them pay for school, guarantee them jobs after graduation, and give them big sign-on paychecks before they even start working for their new employer. Right now, many businesses are suffering from a consumer base that does not have enough money to support them. A couple of industries are termed “recession proof,” meaning that they still get just as much business regardless of the state of the economy. People will always need necessities, like food, healthcare, and burial services, no matter what other items they are no longer able to afford. So, nursing has been largely unaffected by the economic downturn. Hospitals need more nurses now, not less, and the state of the economy is not likely to have an impact on the number of new nursing jobs that are created. Many unemployed workers with degrees in areas that were affected by the economic downturn are returning to nursing school to get a second degree. This has become so prevalent that many schools have created special accelerated nursing degree programs to handle the influx of these students. These programs allow people with a bachelor’s or better in another subject to skip classes that aren’t related to their core subject, and complete a BSN degree program in as little as a year and a half to two years. Your state’s Board of Nursing (view nursing schools and boards by state here) can give you lists of financial aid programs, approved nursing schools, and other information on incentives to get you to join the nursing profession. Nursing is a difficult career path, but it’s also one that has a lot to offer its workers, including monetary incentives, fulfilling patient interactions, and more.